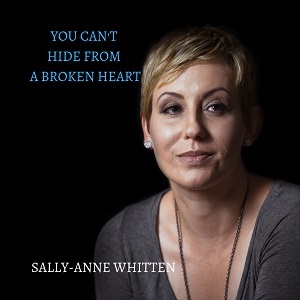 Fresh from her Indie Country Music Australia awards win, Sally-Anne Whitten releases new single, ‘You Can’t Hide from a Broken Heart’. This new release is the 3rd single from the singer-songwriter’s award winning album “Burgundy Street”. Sally-Anne’s new single, was co-written by fellow Tamworth artist, Allison Forbes and explores grief and loss. Having already booked a trip to the USA, when a list of death and disasters occurred for Sally-Anne’s family, she was in two minds about going. With no refunds available, the trip went ahead and the singer thought it would do her good to get away. The singer soon realised ‘you can't hide from a broken heart’, it will follow you everywhere. “Burgundy Street” is a mixed bag when it comes to musical genre - Sally-Anne has yet again embraced her unique blend of swampy blues, R&B, southern rock and West Coast country. Over the years the artist has honed her very own style of ‘funky country’. Sally-Anne was awarded Most Popular Female Artist and Most Popular Independent Album for 2018’s “Burgundy Street”. Producer/husband Alwyn Aurisch received the Most Popular Producer gong for the album of the same name, validating the term ‘keeping it in the family’! The awards were presented at the ICMA (Indie Country Music Australia) Showcase during the 2019 Tamworth Country Music Festival.